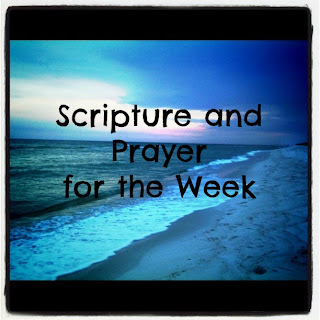 Thanks for joining me for the scripture and prayer for the week. I try to bring a little focus to my life and my home with a specific prayer and verse every week. You can find past verses of the week here, and other posts about following Jesus here. How am I cultivating thankfulness in my home? Certainly not when I show my frustration over tiny, insignificant things, or when I yell at my husband or child. I want this verse to be true in my house, but it is sooooo far from it on some days. Ann Voskamp has it right, thankfulness is the key to understanding grace and finding peace with God. The problem is my own selfishness. I don’t want to be thankful and joyful when I want to be mad and I want to be right. Anybody? My prayer this week will be that the Word will have the run of my house, not me. We will be thankful, because God has blessed us beyond all reason. We will sing with joy and through pride out the window. Hopefully. Pray with me. Father God, Have the run of my house with your Word. Fill us with joy and thankfulness. You have given us grace we don’t deserve, and more than anything we want our little one to grasp that. How can he if we are selfish, yelling, frustrated parents who reflect nothing of you? Remind me to sing to you this week. Remind me to be consciously thankful, out loud, in front of my family. Help me get over the need to be right and to be justified. We want to give you plenty of room in our lives, but our own selfishness takes over. Help me to get over myself this week. Amen. « Frugal Friday: The Dollar Store – Deal or No Deal? such a wonderful & important reminder! i am thankful that i have a job (well, many jobs, being a momma & wife! :] ) that i love and am able to bring my son to, so grateful for my wonderful, loving & supportive family and friends, for health, & for the ability to make a difference & to keep learning & growing. i am so thankful for this life! i really need to remember to start my day this way always! 🙂 thank you!